On Koala Conservation Days for Locals in the You Yangs Ranges, Melbourne-based social enterprise Echidna Walkabout Nature Tours invites adults and children 7 years and older to join in with volunteer activities to help create koala habitats and learn about Australia's beloved marsupial. Koala's that call the You Yangs home, have long been a tourist drawcard. Echidna Walkabout Nature Tours have been inviting international travellers to explore the diverse wildlife of the You Yangs, with up to 7,000 overseas visitors touring the region each year. 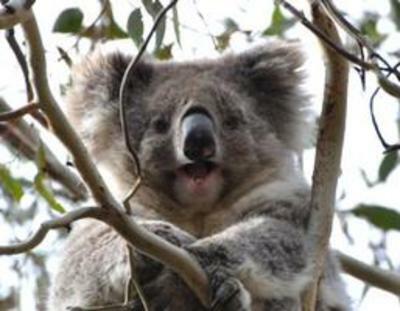 Now it is time for Victorian locals to contribute to the the protection of our beautiful furry friends, with Koala Conservation Days for Locals held run once a month, plus special days organised for school and community groups. Budding wildlife warriors can join like-minded locals for a small participation fee of $20, 100% of which goes toward supporting koalas. Sat 11 April, Sat 16 May, Sat 14 June, Fri 10 July, Sun 30 Aug, Mon 21 Sept 2015. All dates: 9am - 2pm. Book early if you can, as most days fill up quickly. Reserve your place here.